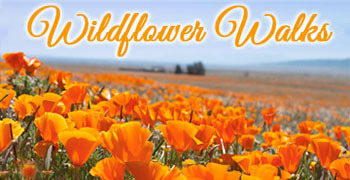 Explore April wildflowers and the park’s rich biodiversity. Search for blooms beneath the redwoods, along Matanzas Creek, amidst heritage oaks and throughout open meadows as we climb the north slope of Sonoma Mountain. Bring a hat, water, and a picnic lunch to enjoy over breathtaking views from the Bennett Valley Overlook on this semi-strenuous 5-mile hike.